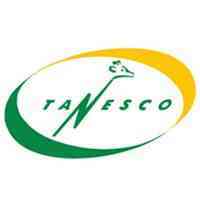 Home Ajira Serikalini AJIRA TANZANIA Government Jobs JOBS JOBS TANZANIA TANESCO 173 New Jobs at Tanzania Electric Supply Company Ltd (TANESCO) - South West Highlands Zone | Deadline: 14th April, 2019. 173 New Jobs at Tanzania Electric Supply Company Ltd (TANESCO) - South West Highlands Zone | Deadline: 14th April, 2019. Jobs in Tanzania 2019: New Job Opportunities at Tanzania Electric Supply Company Ltd (TANESCO) South West Highlands Zone | Deadline: 14th April, 2019. Tanzania Electric Supply Company Limited (TANESCO) is implementing its strategies to increase access and connectivity of its energy services and products for Tanzanians to support the government’s industrialization agenda. The company is currently expanding its business by investing heavily in generation, transmission and distribution network. In line with this, TANESCO now invites applicants who are self-motivated, honest, and hardworking and committed individuals to fill the positions under Specified Period Employment terms of Twelve Months Period in Mbeya, Njombe, Iringa, Rukwa and Songwe regions. • Constructs and maintains distribution lines network in accordance with the company procedures and standards. • Assists in preparing short & long term plans construction/maintenance schedules for expansion of distribution network. • Monitors load growth on secondary sub-station through periodic measurement. • Conducts routine inspection of distribution lines to determine and prevents possible faults and eliminate unplanned power outages. • Provides technical support to Foremen such that all construction and maintenance works are conveniently done in accordance with company’s standards and instructions. • Prepares weekly, monthly and annually report for record keeping, future references and submit to mains engineer within agreed timelines. • Maintains and repairs electrical systems, do performance maintenance of electrical systems. • Carries out diagnostic analysis to determine causes of electrical or mechanical malfunction or failure of operational equipment and performs preventative and corrective maintenance. • Plans, directs, and records periodic electrical testing, and recommends or initiates modification or replacement of equipment which fails to meet acceptable operating standards. • Must be a Computer literate. Responsible for proper construction/maintenance of distribution lines in the Region. • Constructs and maintains distribution lines network to ensure customers are timely connected and according to the company standards, while observing safety of customers and properties. • Carries out routine inspection and maintenance of power lines to ensure continuity of service, as well as quality and reliable power supply to customers. Grid System monitoring to ensure that a continuous and reliable flow of electric power supply from generating plants to various places of grid destination and distribution points are maintained. • Collect all necessary initial technical data in the daily log sheets and defect register book. • Issue permits to work, limitation of access, sanction of test after proper Isolation of equipment at switch yard before people start working to ensure highest safety standards are observed and maintained all the times in order to preserve life and property. • Maintain close liaison with Grid Control centre (SCADA), Generating plants stations and other grid substation Operators to ensure smooth restoration of power supply in case of System power failure. • Report a day recorded shift events to System control Supervisor to ensure the higher authority get informed for record and action. Responsible for financial and revenue matters by ensuring that collection, debt reduction targets and expenditure set by the company are achievable and adhering to the approved district budgets. • Ensures safe custody of cash and daily banking activities in the Districts are done properly. • Ensures safe custody of safe keys, cheque books, LPOs, and any other important financial documents. • Closes works orders and prompt submission of certificates to Head office. • Ensures that daily collection received from the cashier is banked on the next day, and banking documents are kept in safe custody. • Ensures that Value added Tax (VAT) and withholding tax on goods and services rendered including city levy are properly deducted and remitted to the government and respective council on time. • Holder of Bachelor’s Degree/Advanced Diploma in Accountancy, Finance or from recognized higher learning Institutions. Assisting Accountant in performing all accounting activities at the respective working station. • Prepares accurately, neatly all input data to ensure that report preparations are in time. • Reports all accounting anomalies immediately to ensure that corrective measures are implemented in time. • Prepares CRN, DRN, JVS and any other adjustments to ensure that all errors committed are removed. • Adjusting accurately consumption consumer bills as per directives to ensure that no complaints from customers. • Attends customers in a good manner and acceptable language to ensure that no customer is complaining about his/her bills. • Holder of Ordinary Diploma in Accountancy or Finance from recognized learning Institutions plus Certificate of Secondary Education (Form Four or Six). To respond on time customer complaints and queries ensure the customer receive efficient and satisfactory services. • Holder of Ordinary Diploma in Marketing, Business Administration and Public Relations from recognized institutions plus Certificate of Secondary education (Four and/or Six). Managing store activities, controls stock and issue of materials for smooth operation in the region. • To manage stores processes in the region to ensure that availability of materials, tools and equipment. • To advise Senior Supplies and Transport Officer regarding store matters to ensure adherence to the company and public stores regulations. • To maintain and control stocks of materials to ensure efficient delivery and issues of the same. • To monitor and control the activities of members of section to ensure the most effective utilization of resources and achievement of objectives and targets. • To ensure stores data (in all forms) are kept and controlled to prevent fraud and mis-use. • Receiving and recording all incoming stores materials from supplier and ensure that the quality and quantity correspond with the required standards according to the company policy and procedures. • Holder of Advanced Diploma or Bachelor Degree in Materials Management, Procurement and Logistics Management and plus Certificate of Secondary education (Four and/or Six). To ensure that materials are well stored and issued according to procedures. • Responsible for processing and consolidating supplies data. • To make sure all materials are kept in safe place. • Responsible for producing report on stock status in a scheduled time so as to make sure the stores do not go empty. • Issue materials by ensuring the quantity and material issued corresponds with the approved store issuing voucher. • Posting of receiving and issuing voucher to ensure stock balance corresponds with received/issued items. • Key in materials in iSCALA system to ensure correct data control. • Holder of Ordinary Diploma Materials Management, Procurement Management plus Certificate of Secondary education (Four and/or Six). Ensuring that goods and materials are loaded or offloaded whenever required in the warehouse. • Receive incoming goods and materials by manually offloading and loading the outgoing consignments. • Stores goods in designated areas safely, rotates stock according to shelf life, lot numbers and other criteria. • Holder of Secondary Education Certificate (Form IV/VI). • Assisting in Monitoring, securing, maintaining and troubleshooting regional ICT infrastructures that includes network and its elements, Internet access, email etc. • Responsible in creation of network and email accounts for new users as well as deletion of user accounts for retired and terminated users. • Keeping and electronically documenting the ICT assets inventory lists and ensures it is up to date. • Responding and assisting Service Desk referrals for both internal and external customers’ requests by providing expert advice and assistance to all ICT issues. • Training users on how to use ICT facilities while maintaining the standards of ICT infrastructure by monitoring the performance of the network and checking for ICT policies breaches. • Assisting to perform routine and preventive ICT infrastructures in the region. • Holder of Advanced Diploma or Bachelor Degree in Computer Science or Information Technology and relevant qualifications plus Certificate of Secondary education (Four and/or Six). To implement procurement processes (goods, works and services) in a transparent, objective, economic and efficient manner, consistent with relevant policies, regulations and guidelines in accordance to Public Procurement Act. • Conduct procurement activities in the region to ensure that availability of materials, tools and equipment. • Keep records and reports of all procurement activities performed by the procurement management unit for various functions within the region. • To ensure that all relevant Tender documents submitted by bidders, evaluation reports and tender contracts are kept in a safe place for future reference records. • Preparation of weekly and monthly procurement reports. • Holder of Bachelor Degree/Advanced Diploma in Procurement Management plus Certificate of Secondary education (Four and/or Six). Responsible for ensuring that all new applications for service lines and other customer’s enquiries are treated with courtesy and care and that they are well informed of service line application procedures and management of customer data base through SDM (Service Delivery Management System). • Provides quality customer service in person to customers so as to ensure needs of the company is met and efficient care is given to the customers, over the telephone or through written correspondence. • Receiving customer service line applications, customer queries, other service demands and channel the same to respective department. • Disseminating information to customers on the needed services making sure that the customer receives feedback of the requested/demanded service. • Ensure all technical faults that have been reported or documented as TB are closed and follow-up is made timely to ensure minimal complain and effectiveness of our service to clients. • Handle all customer care issues and become the official first point of contact with a customer hence ensuring no issues lay unattended. • Holder of Bachelor Degree/Advanced Diploma in Marketing, Public Relations and Business Administration plus Certificate of Secondary education (Four and/or Six). Ensuring that Office Services, official documentation and record keeping duties are effectively and efficiently performed. • Maintain files under Regional Manager’s office and other documents in proper order. • Maintain a diary of appointment, advice and remind Regional Manager of the same to ensure smoothly running of the office. • Dispatching and receiving of reports, parcels and letters to ensure good management of the office. • Receiving calls so as to ensure customers are well attended and forwarded to respective heads of department. • Attending visitors to ensure that they are handled with quality customer care. • Holder of Ordinary Diploma in Secretarial or relevant qualifications plus Certificate of Secondary education (Four and/or Six). Plan, organize, coordinate and control company’s transportation fleet as per Company Transport Policy. • Timely update prevailing Transport Information Management System to enable generation of fleet performance report for Management decision. • Keep track for all vehicles under car tracking system so that any discrepancy could be reported for immediate rescue measure. • Identify and consolidate all motor vehicles/cycles that qualified for disposal in compliance to the transport policy in order to get rid of vehicles that are expensive to run. • Provide transport – related logistical assistance as requested by the Business units so as to ensure smooth operations. • Assist in monitoring performance contracts of various fuel filling stations providing services to region. • Maintain proper inventory of all components of vehicles, making sure they are maintained and checked frequently, monitor the maintenance, and servicing schedule of the vehicles is followed. • Track repairs and costs as part of monitoring and oversee the repair process. • Holder of Bachelor Degree/Advanced Diploma in Auto Mechanics Engineering plus Certificate of Secondary education (Four and/or Six). Application close date is 14.04. 2019 at 17:00hrs.